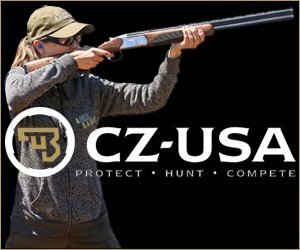 After 79 years in business as the premier supplier of gunsmithing tools, firearms accessories, magazines and ammunition, Brownells has joined the ranks of America’s gun manufacturers. Perhaps it also makes sense that the company’s first firearms are legitimately old school–retro AR-15 rifles. The offering provides an opportunity for people to own authentic copies of the historic guns that served millions of soldiers around the world and started the Modern Sporting Rifle trend. Available and shipping now, the 5.56mm models include: the BRN-16A1, a close copy of the iconic M16A1 first fielded in 1960s during the Vietnam War era, with matte gray anodized receivers that mimic the originals, complete with 20-round Brownells aluminum magazine. Also available is the RN-601, a close copy of the original USAF contract rifle with green furniture and matte gray anodized receivers, like the originals. This model has the “Duckbill” early 3-Prong Flash Hider w/ split washer, and triangle 601 charging handle, and a 20-round Brownells waffle magazine. Brownells also announced that it is taking orders now for the BRN-10, the first .308 rifle in its Retro Rifles™ line. The BRN-10 will have the “trigger-style” charging handle in the top of the receiver, under the carry handle, and the same lines and contours as the first production AR-10®s from the 1950s. With upper and lower receivers designed in conjunction with FM-Products, the BRN-10 is compatible with standard DPMS/SR25 components including triggers, magazines, barrels, bolt carrier groups, muzzle devices, buttstocks, pistol grips, handguards, and buffer assemblies. It also features a newly-designed rear sight assembly with a peep sight adjustable for windage and elevation, with elevation setting viewable through the rear of the receiver. MSRP is $1,699.99 with shipping slated for spring 2018. The BRN-10 is a close copy of early rifles, such as issued by Netherlands, featuring a 20” fluted barrel in .308 with 5/8”-24 threads & 1-10” twist, nitride finish, and brown furniture including the original-style handguard. However, the BRN-10 model is not compatible with 308 PMAGs due to lower receiver design. It also has a retail price of $1,699.99. Finally, there is the BRN-10B Brownells, a close copy of late-model rifles, as adopted by Cuba and other nations, with black furniture including original style handguard, at a retail price of $1,599.99. In addition to complete Retro Rifles, Brownells also is offering a full line of Retro Parts, including 5.56 receivers, furniture, barrels and other parts. Retro parts in .308 will be available late in the year. To learn more about both the Retro Rifles and Retro Parts, visit online at: Brownells.com/retro, or phone 800-741-0015.